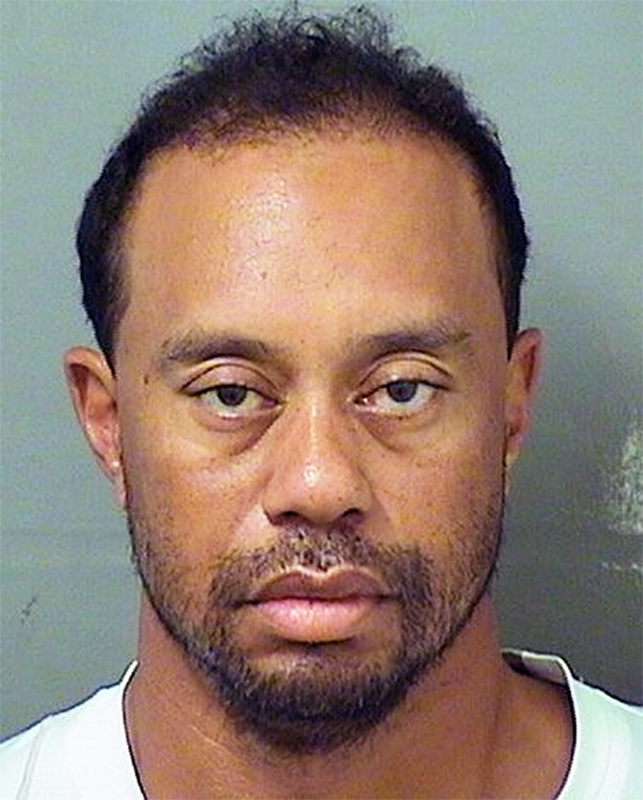 Tiger Woods was asleep at the wheel of his car before police arrested him on suspicion of driving under the influence in Jupiter, Florida, on Monday, May 29. According to a police report obtained by Us Weekly, authorities had to wake up the golf legend, 41, when they found his 2015 black Mercedes-Benz stopped in the right lane of Military Trail south of Indian Creek Parkway early Monday morning. His car was running with the brake lights on and the right blinker flashing. The police report says Woods “had extremely slow and slurred speech.” His attitude was described as “cooperative” but “confused.” Woods told police he was coming home from a golfing trip in Los Angeles and did not know where he was when he was awoken. According to police, the athlete failed a field sobriety test, though his breathalyzer test results were 0.00. He told police that he takes several prescription medications. Woods was arrested on a charge of driving under the influence and was also cited for improper parking in an illegal place. He was booked at a local jail at 7:18 a.m. and was released on his own recognizance at 10:50 a.m. He is scheduled for an arraignment hearing in Palm Beach County circuit court on July 5.